Second floor unit 205 at the FENDI CHÂTEAU, with exclusive backyard access to the beach, recently sold for $6,700,000. Prestige Realty Group Broker & Owner Tony Rodriguez-Tellaheche represented the buyers in the transaction. The buyers are a couple from Atlanta, that wanted to relocate to save money on Georgia’s State Income tax of 6%. Miami, Florida was their desired location for obvious reasons including the fact that Florida’s State Income Tax is a whopping 0%. The couple came across Tony online while researching prominent agents in the area, to help them find a new home in The Magic City. They were impressed with Tony’s online presence and decided to reach out to him. Funny enough when they met in person, they realized they had a few mutual friends Tony has worked with in the past. Once in Miami, Tony showed them multiple considerable options before finally showing the FENDI CHÂTEAU building on Miami beach. 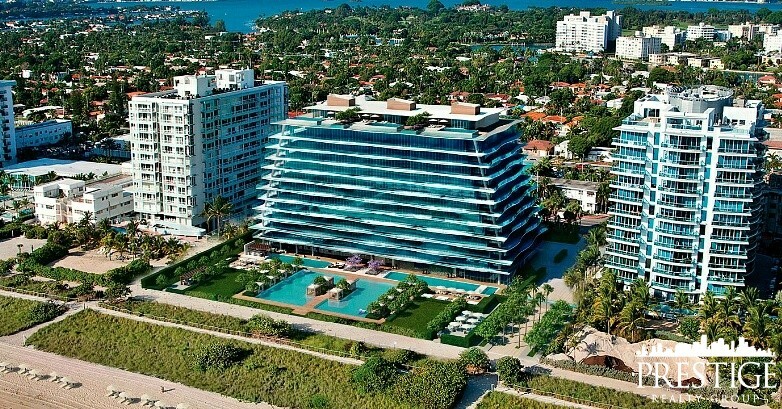 Some honorable mentions they were condering were Apogee, Faena & Oceana Bal Harbour. They visited the FENDI CHÂTEAU building together a total of 3 times and even asked the residents that live there if they were satisfied & happy. Needless to say, the responses were all extremely positive. The couple from Georgia was absolutely head over heels in love with the condo & location. I can’t blame them. Steps away from Bal Harbour Shops, the The FENDI CHÂTEAU residences is the first Worldwide boutique luxury condominium by renowned Italian brand FENDI. This is a 12 stories building where the majority of the 56 units are flow through. 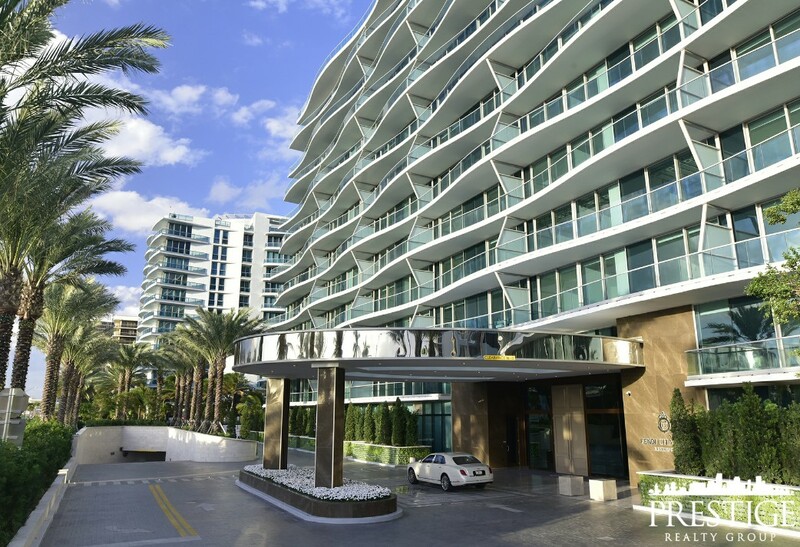 The FENDI also offers state-of-the-art amenities with areas designed by FENDI Casa, including a private residents-only restaurant, and white glove service. The 3,752 sq ft unit sold contained 3 beds, 3.5 baths + maids quarters. All 3 bedrooms face the beach. The balcony alone has a colossal 600 sq ft of space, overlooking the ocean. Unit 205 also is the only unit in the entire building that has its own unique floor plan which the buyers loved. The seller was initially asking for $7,800,000. Tony negotiated the price down to $6,700,000 , saving the couple a substantial $1,100,000. The unit was bought cash & there were no issues. The couple are extremely happy with their purchase. If you’re interested in more information on the FENDI CHÂTEAU Residences feel free to contact us directly.